I've been visiting Wild Dunes ever since I was a kid. We used to drive all the way from Chicago every summer. Now we live just three hours away and we bring our kids every summer. Things are trending in the right direction. In 1989, Hurricane Hugo, made landfall right where this photo was taken. It wiped out the old open-air pavilion and much of everything around it. Isle of Palms (the island that is home to Wild Dunes) and neighboring Sullivans Island were essentially cast off to sea when their only connection to the mainland, the Ben Sawyer Bridge, was destroyed. Wild Dunes rebuilt the pavilion in a big way. 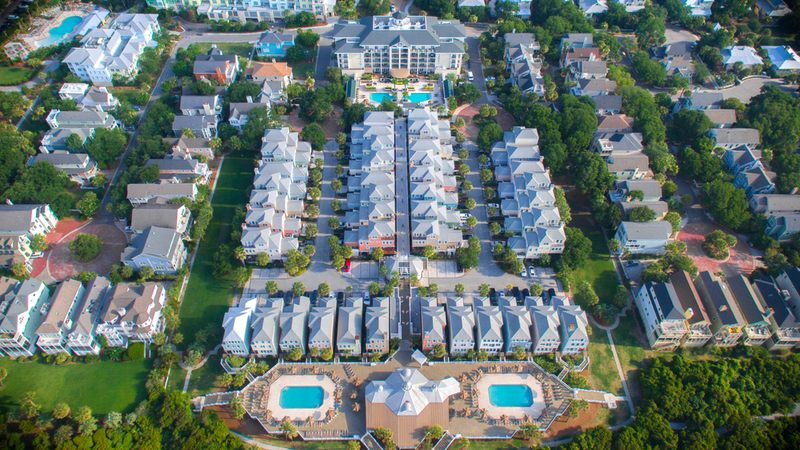 Now, the Wild Dunes Boardwalk Inn is the gateway to the new Grand Pavilion. No fewer than five pools are located within a 5 minute stroll from one-another, each catering to a different crowd. It's a great place to be.